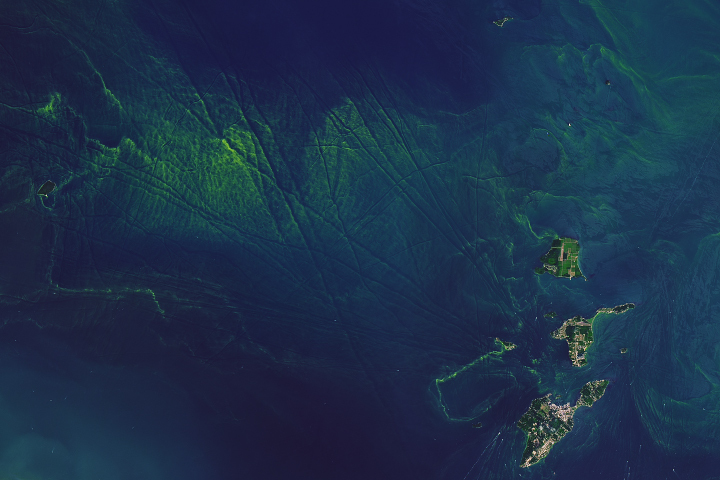 Cyanobacteria have become a regular summer phenomenon in Lake Okeechobee and Lake Erie. 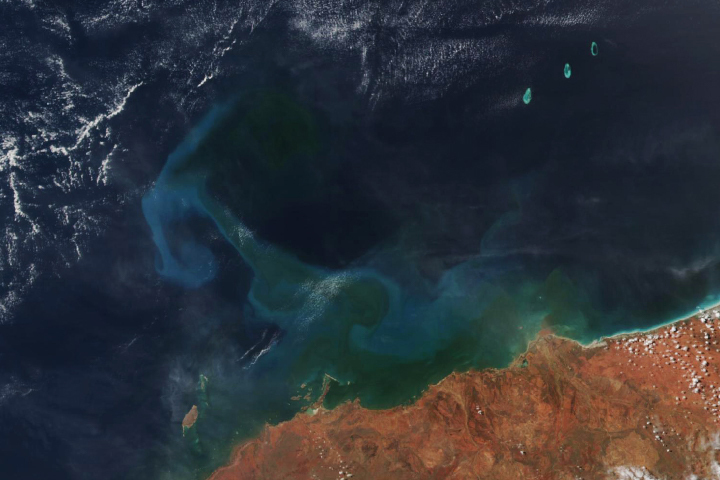 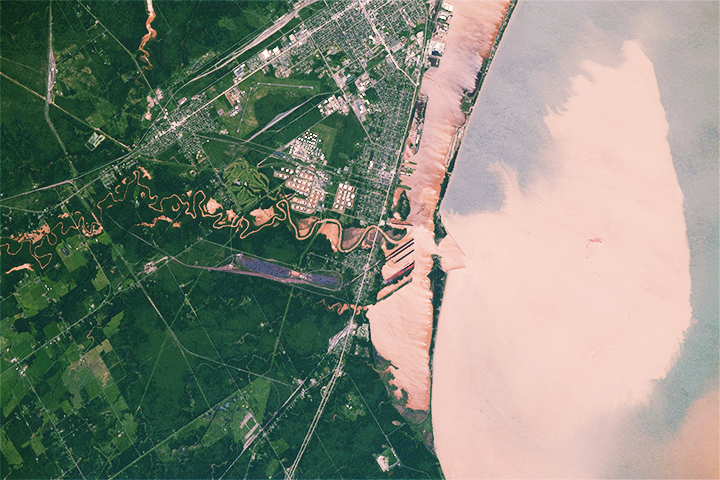 After torrential flooding the upper Midwest, sediment runoff discolors Lake Superior. 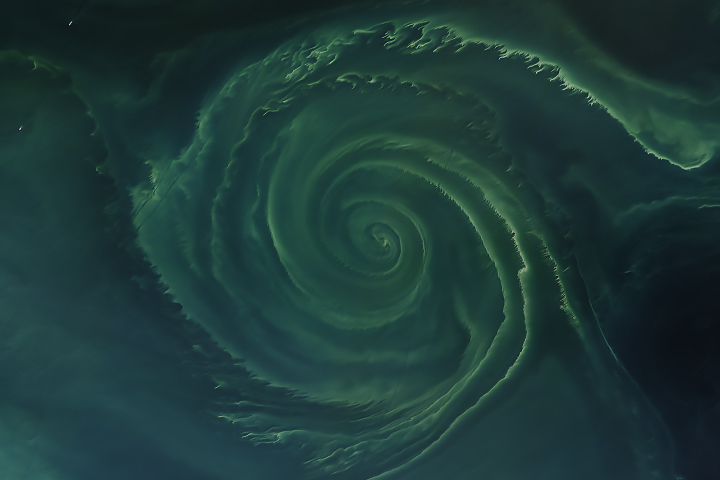 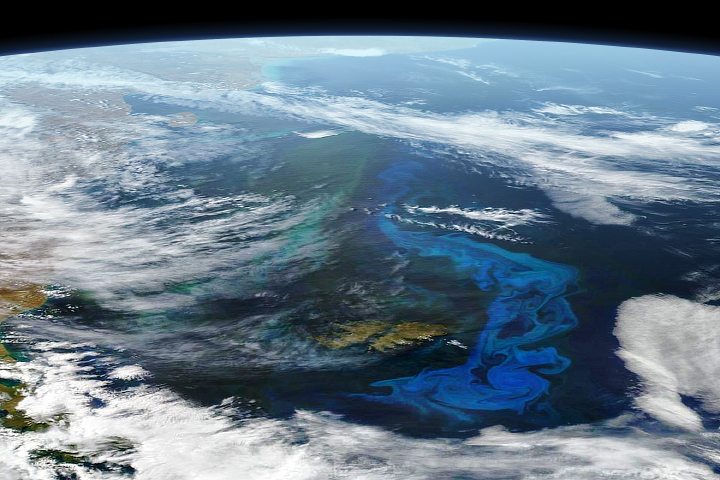 Swirls of milky blue and green reveal the presence of massive numbers of phytoplankton in the South Atlantic Ocean near the Falkland Islands.